Changes and improvements to the museum are likely to take many years, as indeed it has taken some four decades for the site we know as the museum today to become what it is now – but for a volunteer-run organisation with limited financial resources this is completely understandable. Naturally no firm plans exist as yet for how the extra space will ultimately be utilised, although accommodating various objects which are not housed on site at present and making them accessible to the public is likely to be high up on the agenda. Looking further ahead, more depots could well lead to more vehicles being acquired so perhaps we may see an enlarged tram fleet at Carlton Colville? 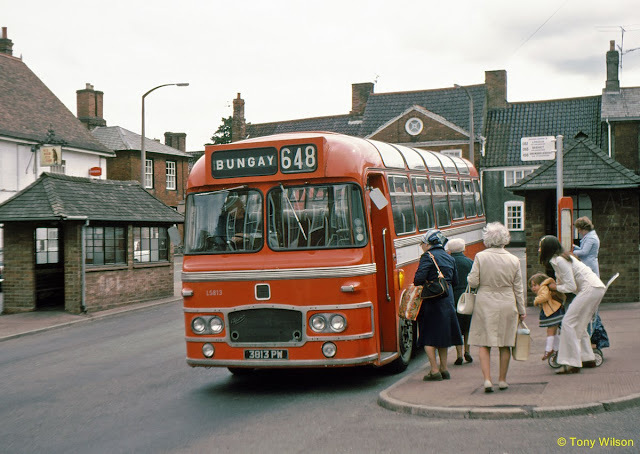 Visitors often express a desire for longer vehicle rides although any such plans are likely to concentrate on the trolleybuses rather than trams, understandable due to the lack of track needed! A new sub-committee will be formed to help take the museum forward, and EATMS members have been invited to attend a future meeting to discuss ideas for future development. All in all, very exciting times for this much underrated museum which is definitely going to be one to keep an eye on in the years ahead! 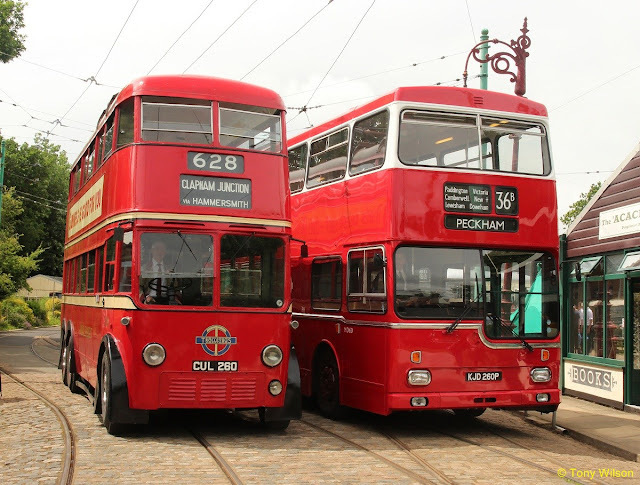 More recently though the museum held a London centric event over the Saturday/Sunday weekend of the 9/10th July with the appearance of something interesting and significant vehicles making an attendance. On the tram front Crich Tramway Village the home of the National Tramway Museum in Derbyshire loaned London County Council tram number 106 built in 1903. 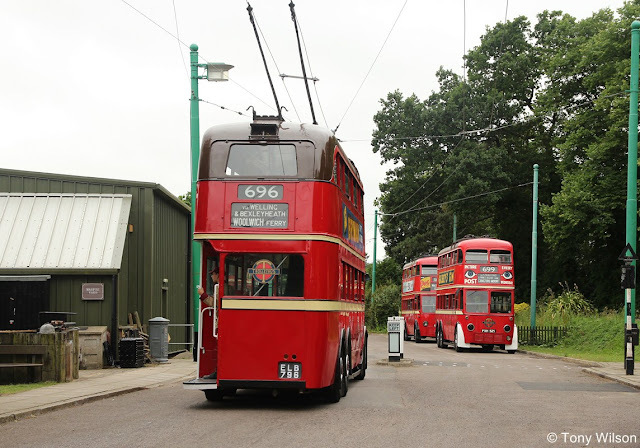 This provided runs around the circuit alongside the museum's own younger EMB English Electric London Transport tram from 1930. Three London trolleybuses on duty during the weekend were number 260 an AEC and two Leylands 796 and 1201. Significantly number 260 celebrated its 80th birthday this year. And on the subject of birthdays, another visitor was former London Transport MCW Metropolitan MD 60. 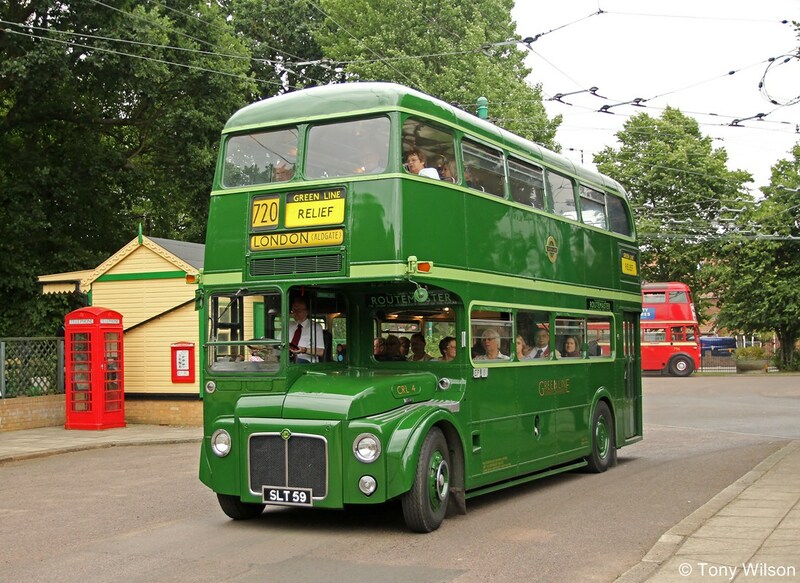 This was one of 164 supplied during 1976 (thus 40-years old) and used predominantly on South East London routes. Regrettably these buses were prone to rust problems and in comparison to other buses, had a short working in London. However, MD 60 was preserved by Ensignbus and is now back in full working order. Another but perhaps more significant bus present was provided courtesy of the London Bus Company in the shape of CRL 4, for it was the Routemaster that saw off much of London's trolleybuses network.Of the first four produced, the fourth was a coach version and the only Routemaster built with and Eastern Coachworks body from nearby Lowestoft. And finally quite by coincidence. 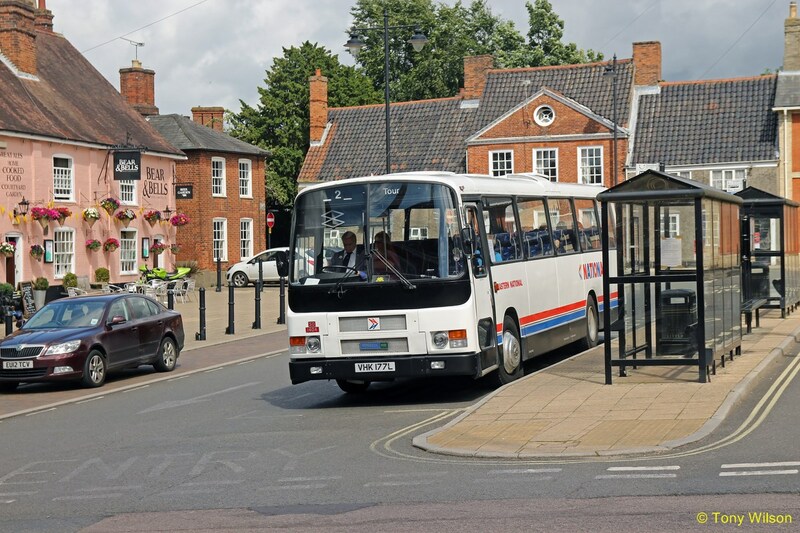 One of the vehicles assigned to the free Park-&-Ride service between the Museum and Beccles was former National Bus Company subsidiary Eastern National Bus Company's Eastern Coachworks bodied Bristol RE number 1404. This is illustrated on the bus stands at Beccles on the day of the event, 10th July 2016. Whereas almost 40-years previous to the event, when the Museum was in its infancy the photographer and his wife were on holiday in the area. And quite by chance at the very same location, another of the Bristol/ECW combination was photographed on the 9th July 1976. This time though an MW type number LS 813 in revenue-earning service bound for Bungay. Oh how times change, or do they? 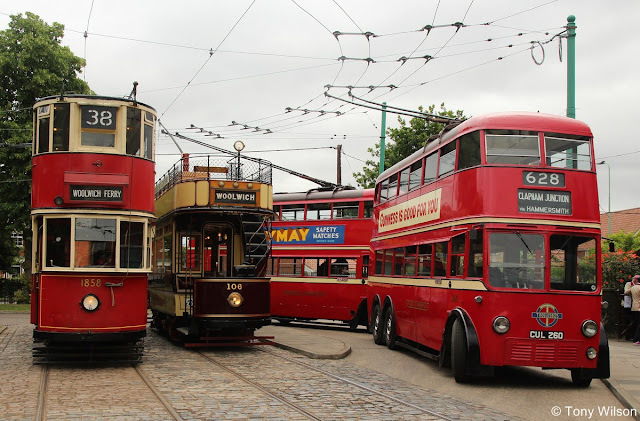 With collections and museum's like EATMS and all the hard work associated with them, the Glory Days of transport can be relived time and again.